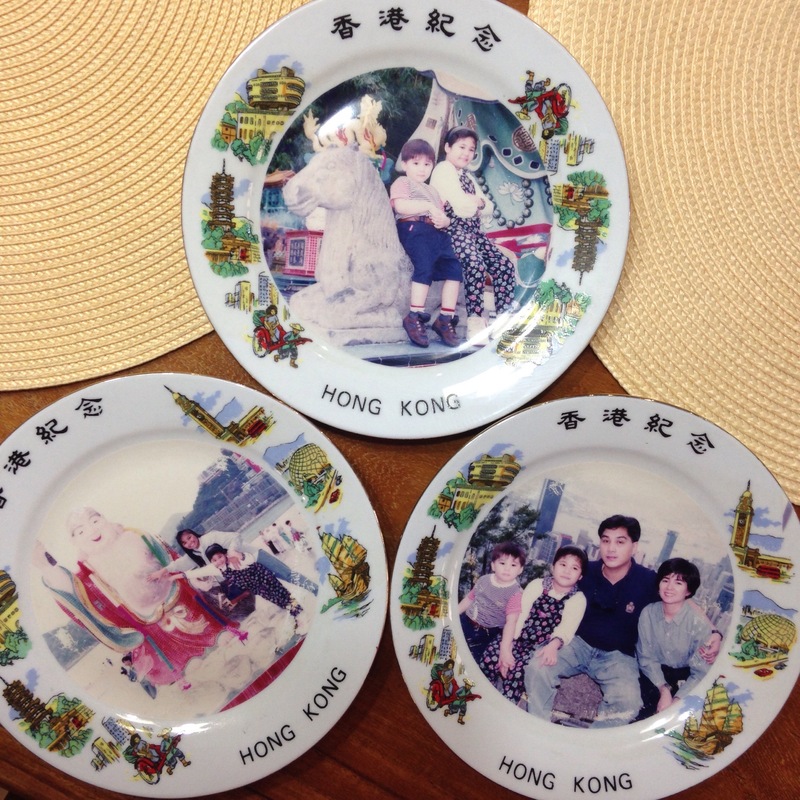 I was much too young to have proper recollections of my first trip to another country; I was 6 years old when my family took a trip to Hong Kong, and as you can imagine, my memories of it are hazy. Except for the countless tubes of Pringles; a pink and beige Ocean Park hat, a stuffed orca, and a whale show; this floral, corduroy floral romper; that Buddha statue; a Jem & The Holograms 3D book that I got at Toys R Us (we didn’t have that in Manila in the early 90s); a wax museum; a man standing on cleavers; cable cars; how those spring rolls tasted; our hotel’s buttered chicken; and cheesy family tour souvenirs like these plates here. This entry was posted in International, Travel and tagged Asia, Hong Kong, travel. Bookmark the permalink.